Baylor: Baylor University Press, 2018. Introduction to Biblical Interpretation, 3rd ed. Co-authored with William W. Klein and Robert L. Hubbard, Jr. Grand Rapids: Zondervan, 2017. 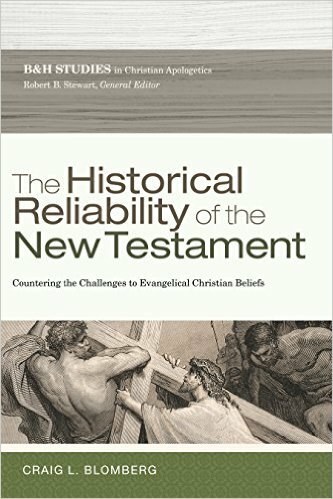 The Historical Reliability of the New Testament: Countering the Challenges to Evangelical Christian Beliefs. B & H Academic, 2016. Effective Generational Ministry: Biblical and Practical Insights For Transforming Church Communities. Baker Academic, 2016. Can We Still Believe the Bible? An Evangelical Engagement with Contemporary Questions. Brazos Press, 2014. 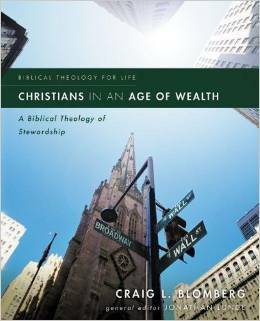 Christians in an Age of Wealth: A Biblical Theology of Stewardship. Zondervan, 2013. Interpreting the Parables. 2nd edition. IVP Academic, 2012. 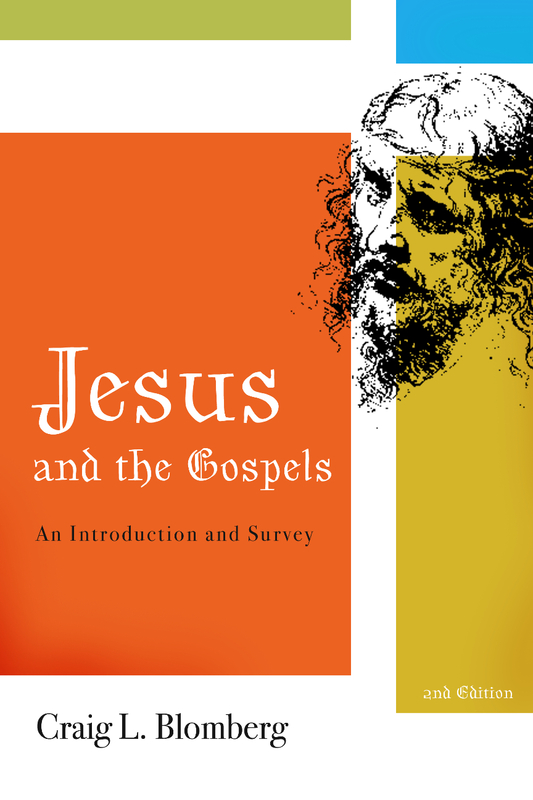 Jesus and the Gospels: An Introduction and Survey. Revised ed. Broadman & Holman, 2009. The Historical Reliability of the Gospels. 2nd ed. IVP Academic, 2007. A New Testament Theology. Baylor: Baylor University Press, 2018. The Historical Reliability of the New Testament: Countering the Challenges to Evangelical Christian Beliefs. Nashville: B & H Academic, 2016. Can We Still Believe the Bible? 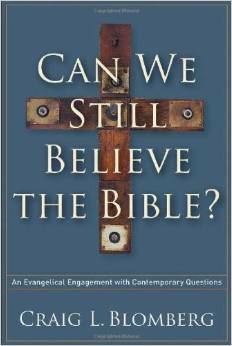 An Evangelical Engagement with Contemporary Questions. Grand Rapids: Brazos, 2014. Christians in an Age of Wealth: A Biblical Theology of Stewardship. Grand Rapids: Zondervan, 2013. Interpreting the Parables. 2nd ed. Downers Grove: IVP, 2012. Jesus and the Gospels, Revised Edition. Nashville: Broadman & Holman; Nottingham: IVP, 2009. The Historical Reliability of the Gospels. Nottingham: Apollos; Downers Grove: IVP, rev. 2007. From Pentecost to Patmos: An Introduction to Acts through Revelation. Nashville: Broadman & Holman, 2006. Korean translation, 2010; Spanish translation, 2012. Contagious Holiness: Jesus' Meals with Sinners. Leicester and Downers Grove: IVP, 2005. Preaching the Parables: From Responsible Interpretation to Powerful Proclamation. Grand Rapids: Baker, 2004. Making Sense of the New Testament: 3 Crucial Questions. Grand Rapids: Baker; Leicester: IVP, 2004. Korean translation 2005; Spanish translation, 2009; Portuguese translation, 2009; Romanian translation, 2016. 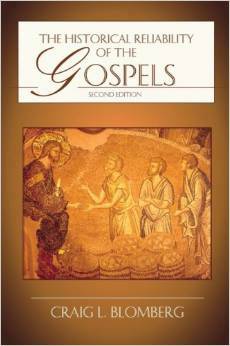 The Historical Reliability of John's Gospel: Issues and Commentary. Leicester and Downers Grove: IVP, 2001. Heart, Soul and Money: A Christian View of Possessions. Joplin, MO: College Press, 2000. Neither Poverty Nor Riches: A Biblical Theology of Possessions. Grand Rapids: Eerdmans; Leicester: IVP, 1999. French translation, 2001; Spanish translation, 2003; Portuguese translation, 2009; Italian translation, 2012. Jesus and the Gospels: An Introduction and Survey. Nashville: Broadman; Leicester: IVP, 1997. German translation, 2000; Korean translation, 2008; Portuguese translation, 2009. How Wide the Divide? A Mormon and an Evangelical in Conversation, with Stephen E. Robinson. Downers Grove: IVP, 1997. 1 Corinthians [NIV Application Commentary]. Grand Rapids: Zondervan, 1994. Spanish translation, 2012. Matthew [New American Commentary]. Nashville: Broadman, 1992. Interpreting the Parables. Downers Grove and Leicester: IVP, 1990. Korean translation, 1996; German translation, 1998; Russian translation 2005. The Historical Reliability of the Gospels. Leicester and Downers Grove: IVP, 1987. German translation, 1998. 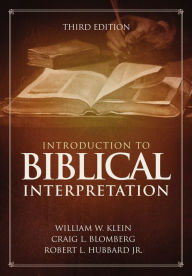 Introduction to Biblical Interpretation, with William W. Klein and Robert L. Hubbard, Jr. Dallas: Word, 1993. Korean translation, 1999. Rev. ed. Nashville: Nelson, 2004. Chinese translation, 2005. Indonesian translation, 2013. 3rd ed. Grand Rapids: Zondervan, 2017. 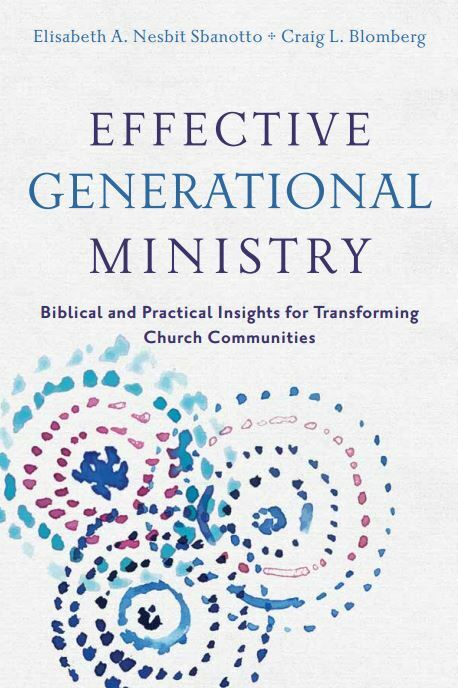 Effective Generational Ministry: Biblical and Practical Insights for Transforming Church Communities, with Elisabeth A. Nesbit (Grand Rapids: Baker, 2015). Handbook of New Testament Exegesis, with Jennifer Markley. Grand Rapids: Baker, Nov. 2010. Korean translation, 2012. James, with Mariam J. Kamell [Zondervan Exegetical Commentary]. Grand Rapids: Zondervan, 2008. Korean translation, 2014. A Case for Historic Premillennialism, co-edited with Sung Wook Chung. Grand Rapids: Baker, 2009. Korean translation, 2014. Two Views of Women in Ministry, co-edited with James R. Beck. Grand Rapids: Zondervan, 2001. Solid Ground: 25 Years of Evangelical Theology, ed. Carl P. Trueman, Tony J. Gray and Craig L. Blomberg. Leicester: IVP, 2000. Gospel Perspectives, vol. 6, co-ed. with David Wenham. Sheffield: JSOT Press, 1986. “The Choice and High Calling of Marriage and Singleness,” in Marriage: its Foundation, Theology, and Mission in a Changing World, Curt Hamner, John Trent, Rebekah Byrd, Eric L. Johnson and Erik Thoennes (Chicago: Moody, 2019), 89-107. “Does the Quest for the Historical Jesus Still Hold Any Promise?” in Evangelical Scholarship, Retrospects and Prospects: Essays in Honor of Stanley N. Gundry, ed. Dirk R. Buursma, Katya Covrett and Verlyn Verbrugge (Grand Rapids: Zondervan, 2017), 157-71. “Discovering the Historical Jesus in the Gospels,” in Understanding the Gospels: A Guide for Preaching and Teaching [Darrell L. Bock Festschrift], ed. Herbert W. Bateman IV andBenjamin I. Simpson (Grand Rapids: Kregel, 2017), 205-17. “How to Approach Apparent Contradictions in the Gospels: A Response to Michael Licona,” Christian Research Journal 40.2 (2017): 44-51. “When Ockham’s Razor Shaves Too Closely: A Necessarily Complex Model of the Development of the Jesus Tradition,” in the David Garland Festschrift, ed. Todd Still (Waco: Baylor University Press, 2017), 53-69, 193-200. “Common Exegetical Fallacies in New Testament Scholarship Rectifiable through External Evidence,” in The Language and Literature of the New Testament: Essays in Honour of Stanley E. Porter’s 60th Birthday, ed. Craig A. Evans, Lois Dow and Andrew Pitts (Leiden: Brill, 2016), 726-41. “Reflections on Jesus’ View of the Old Testament,” in The Enduring Authority of the Christian Scriptures, ed. D. A. Carson (Grand Rapids: Eerdmans, 2016), 669-701. “‘True Righteousness and Holiness’: The Image of God in the New Testament,” in The Image of God in an Image-Driven Age: Explorations in Theological Anthropology, ed. Beth Felker Jones and Jeffrey W. Barbeau (Downers Grove: IVP, 2016), 66-87. “The Family Values of the Synoptic Gospels: Not Quite Your Standard Conservative Agenda,” Criswell Theological Review n.s. 13 (2016): 61-76. “James, Epistle of (Modern Europe and America 1600—Present),” with Darlene M. Seal, for Encyclopedia of the Bible and Its Reception, ed. Hans-Josef Klauck, et al., vol. 11 (Berlin: de Gruyter, 2016). “The Sayings of Jesus in Mark: Does Mark Ever Rely on a Pre-Johannine Tradition,” in The Origins of John’s Gospel, ed. Stanley E. Porter and Hughson T. Yong (Leiden and Boston: Brill, 2016), 81-98. “Unveiling Revelation and a Landmark Commentary Series,” in Let Us Reason Together: Essays in Honor of the Life’s Work of Robert L. Millet, ed. J. Spencer Fluhman and Brent L. Top (Salt Lake City: Deseret; Provo: BYU Religious Studies Center and the Neal Maxwell Institute, 2015), 205-28. “Looking Ahead: My Dreams for Mormon-Evangelical Dialogues,” in Talking Doctrine: Mormons and Evangelicals in Conversation, ed. Richard Mouw and Robert L. Millet (Downers Grove: IVP, 2015), 33-37. “How Many Gods? Mormons and Evangelicals Discussing the Debate,” in ibid., 113-24. "Why a Tithe to Their Church Is Not Nearly Enough for Most Middle-Class Western Christians,” in Human Flourishing through Economic Discipleship, ed. Dieumeme E. Noelliste and Don J. Payne (Littleton, CO: Denver Seminary Grounds Institute of Public Ethics, 2014), 44-57. "Church of Jesus Christ of Latter-day Saints: History, Beliefs, Practices,” in Handbook of Religion: A Christian Engagement with Traditions, Teachings, and Practices, ed. Terry C. Muck, Harold A. Netland, and Gerald R. McDermott (Grand Rapids: Baker, 2014), 463-67. "Church of Jesus Christ of Latter-day Saints: Theological Exchanges, Current Issues,” in ibid., 468-71. "Quotations, Allusions, and Echoes of Jesus in Paul,” Studies in the Pauline Epistles: Festschrift for Douglas J. Moo, ed. Matt Harmon and Jay Smith (Grand Rapids: Zondervan, 2014), 129-43. "The Historical Jesus from the Synoptics and the Fourth Gospel? Jesus the Purifier," in The Message of Jesus: John Dominic Crossan and Ben Witherington III in Dialogue, ed. Robert B. Stewart (Minneapolis: Fortress, 2013),163-79. “The Parable of the Good Samaritan: Redefining ‘Israelite’ or Redefining ‘Neighbour’?” Foundations 64 (May 2013): 24-37. "Jesus, Sinners and Table Fellowship," Bulletin for Biblical Research 19 (2009): 35-62. "The Posttribulationism of the New Testament: Leaving Left Behind Behind," in A Case for Historic Premillennialism, ed. Craig L. Blomberg and Sung Wook Chung (Grand Rapids: Baker, 2009), 61-87. "'But We See Jesus': The Relationship between the Son of Man in Hebrews 2:6 and Verse 9 and the Implications for English Translations," in A Cloud of Witnesses: The Theology of Hebrews in Its Ancient Contexts, ed. RichardBauckham, Daniel Driver, Trevor Hart, and Nathan MacDonald (London: T&T Clark, 2008), 88-99. "Jesus of Nazareth: How Historians Can Know Him and Why It Matters," for the Christian Campus Initiative, posted at www.gospelcoalition.org (2008). "God and Money: A Biblical Theology of Possessions," in A Revolution in Generosity: Transforming Stewards To Be Rich Toward God, ed. Wesley K. Willmer (Chicago: Moody, 2008), 45-62. "Matthew," in Commentary on the New Testament Use of the Old Testament, ed. D. A. Carson and Gregory K. Beale (Grand Rapids: Baker, 2007), 1-109. "The Most Often Abused Verses in the Sermon on the Mount-And How to Treat Them Right," Southwestern Journal of Theology 46 (2004): 1-17. "Women in Ministry: A Complementarian Perspective," Two Views of Women in Ministry, ed. James R. Beck (Grand Rapids: Zondervan, rev. 2005), 123-89. "The New Testament Concept of Salvation: An Evangelical Christian Perspective," in Salvation in Christ: Comparative Christian Views,ed. Roger R. Keller and Robert L. Millet(Provo: Religious Studies Center, BYU, 2005), 29-51. "Today's New International Version: The Untold Story of a Good Translation," in Perspectives on the TNIV from Leading Scholars and Pastors (Grand Rapids: Zondervan, 2004), 85-115; Bible Translator 56 (2005): 187-211. "Better Things in This Case: The Superiority of Today's New International Version in Hebrews," Bible Translator 55 (2004) 310-18. "John and Jesus," in The Face of New Testament Studies, ed. Scot McKnight and Grant R. Osborne (Grand Rapids: Baker; Leicester: IVP, 2004), 209-26. "Messiah in the New Testament," in Israel's Messiah in the Bible and the Dead Sea Scrolls, ed. Richard S. Hess and M. Daniel Carroll R. (Grand Rapids: Baker, 2003), 111-41. "Applying 1 Corinthians in the Early Twenty-First Century," Southwestern Journal of Theology 45 (2002): 19-38. "Interpreting Old Testament Prophetic Literature in Matthew: Double Fulfillment," Trinity Journal 23 (2002): 17-33. "The New Testament Definition of Heresy (or When Do Jesus and the Apostles Really Get Mad?)" Journal of the Evangelical Theological Society 45 (2002): 59-72. Spanish translation in Kairós 39 (2006) 37-59. "Is Mormonism Christian?" in The New Mormon Challenge, ed. Carl Mosser, Paul Owen and Frank T. Beckwith (Grand Rapids: Zondervan, 2002), 315-32. "The Synoptic Problem: Where We Stand at the Start of a New Century," in Rethinking the Synoptic Problem, ed. David A. Black and David Beck (Grand Rapids: Baker, 2001), 17-40. "The Historical Reliability of John: Rushing in Where Angels Fear to Tread?" in Jesus in Johannine Tradition, ed. Robert T. Fortna and Tom Thatcher (Louisville: Westminster John Knox, 2001), 71-82. "Where Should Twenty-First-Century Evangelical Biblical Scholarship Be Heading?" Bulletin for Biblical Research 11 (2001): 161-71. "Neither Hierarchicalist nor Egalitarian: Gender Roles in Paul," in ibid., 329-72; Rev. ed. In Paul and His Theology, ed. Stanley E. Porter (Leiden and Boston: Brill, 2006), 283-326. "The Diversity of Literary Genres," revised, in Interpreting the New Testament, ed. David A. Black and David S. Dockery (Nashville: Broadman & Holman, 2001), 272-95. "The Past, Present and Future of American Evangelical Theological Scholarship" in ibid., 310-19. "Las posesiones materiales en el cristianismo primitivo," Kairós 25 (1999): 7-27. "Las posesiones materiales en la enseñanza de Jesús según los Evangelios Sinópticos," Kairós 24 (1999): 7-29. "El antiguo testamento y las posesiones materiales," Kairós 23 (1998): 53-73. "Give Me Neither Poverty Nor Riches: A New Testament Theology of Material Possessions," Stone-Campbell Journal 2 (1999): 209-26. "Eschatology and the Church: Some New Testament Perspectives," Themelios 23.3 (1998) 3-26; repr. in Solid Ground: 25 Years of Evangelical Theology, ed. Carl P. Trueman, Tony J. Gray and Craig L. Blomberg (Leicester: IVP, 2000): 84-107. "The Christian and the Law of Moses," in Witness to the Gospel: The Theology of Acts, ed. I. Howard Marshall and David Peterson (Grand Rapids and Cambridge: Eerdmans, 1998), 397-416. "Poetic Fiction, Subversive Speech, and Proportional Analogy in the Parables," Horizons in Biblical Theology 18 (1996): 115-32. "The Globalization of Biblical Hermeneutics," in Evangelical Hermeneutics, ed. Michael Bauman and David Hall (Camp Hill, PA: Christian Publications, 1995), 31-51; also in Journal of the Evangelical Theological Society 38 (1995): 581-93. "The Globalization of Biblical Interpretation-A Test Case: John 3-4," Bulletin of Biblical Research 5 (1995): 1-15. "The Kingdom of God and Evangelical Theological Education," Didaskalia 6.2 (1995): 14-35. "Interpreting the Synoptic Gospels for Preaching," Faith and Mission 12 (1994): 22-43. "Where Do We Start Studying Jesus?" in Jesus under Fire, ed. Michael J. Wilkins and J. P. Moreland (Grand Rapids: Zondervan, 1995), 17-50. "Critical Issues in New Testament Studies for Evangelicals Today," in A Pathway into the Holy Scripture, ed. Philip E. Satterthwaite and David F. Wright (Grand Rapids: Eerdmans, 1994), 51-79. "The Seventy-Four 'Scholars': Who Does the Jesus Seminar Really Speak For?" Christian Research Journal 17.2 (1994): 32-38. "The Historical Reliability of the New Testament," in Reasonable Faith by William L. Craig (Wheaton: Crossway, 1994), 193-231. "Historical Criticism of the New Testament," in Foundations for Biblical Interpretation, ed. David S. Dockery, Kenneth A. Mathews, and Robert B. Sloan (Nashville: Broadman, 1994), 414-33. "The Parables of Jesus: Current Trends in Needs and Research," in Studying the Historical Jesus: Evaluation of the State of Current Research, ed. Bruce Chilton and Craig A. Evans (Leiden: Brill, 1994), 231-54.
" 'Your Faith Has Made You Whole': The Evangelical Liberation Theology of Jesus," in Jesus of Nazareth, Lord and Christ, ed. Joel B. Green and Max Turner (Grand Rapids: Eerdmans, 1994), 75-93. "The Implications of Globalization for Biblical Understanding," in The Globalization of Theological Education, ed. Robert A. Evans, Alice F. Evans, and David Roozen (Maryknoll: Orbis, 1993), 213-28, 240-45. "To What Extent is John Historically Reliable?" in Perspectives on John: Method and Interpretation in the Fourth Gospel, ed. Robert B. Sloan and Mikeal C. Parsons (Lewiston: Mellen, 1993), 27-56. "The Image of God in Humanity: A Biblical-Psychological Perspective," with R. Ward Wilson, Themelios 18.3 (1993): 8-15. "On Wealth and Worry: Matthew 6:19-34-Meaning and Significance," Criswell Theological Review 6 (1992): 73-89. "Degrees of Reward in the Kingdom of Heaven?" Journal of the Evangelical Theological Society 35 (1992): 159-72. "The Liberation of Illegitimacy: Women and Rulers in Matthew 1-2," Biblical Theology Bulletin 21 (1991): 145-50. "The Sabbath as Fulfilled in Christ," in The Sabbath in Jewish and Christian Traditions, ed. Tamara Eskenazi, Daniel Harrington, and William Shea (Denver: Denver University Center for Judaic Studies, 1991), 122-28. "The Diversity of Literary Genres in the New Testament," in New Testament Criticism and Interpretation, ed. David A. Black and David S. Dockery (Grand Rapids: Zondervan, 1991), 507-32. "Interpreting the Parables of Jesus: Where Are We and Where Do We Go From Here?" Catholic Biblical Quarterly 53 (1991): 50-78. "Marriage, Divorce, Remarriage and Celibacy: An Exegesis of Matthew 19:3-12," Trinity Journal n.s. 11 (1990): 161-96. "New Testament Genre Criticism for the 1990s," Themelios 15 (1990): 40-49. "The Structure of 2 Corinthians 1-7," Criswell Theological Review 4 (1989): 3-20. "Elijah, Election, and the Use of Malachi in the New Testament," Criswell Theological Review 2 (1987): 99-117. "Synoptic Studies: Some Recent Methodological Developments and Debate," Themelios 12 (1987) 38-46. Repr. in The Best of Theology, vol. 2, ed. Paul Fromer (carol Stream, IL: Christianity Today Inc., 1988), 117-35. "Concluding Reflections on Miracles and Gospel Perspectives," in ibid., 443-57. "The Miracles as Parables," in ibid., 327-59. "The Legitimacy and Limits of Harmonization," in Hermeneutics, Authority, and Canon, ed. D. A. Carson & John D. Woodbridge (Grand Rapids: Zondervan, 1986), 135-74. "The New Testament Miracles and Higher Criticism: Climbing Up the Slippery Slope?" Journal of the Evangelical Theological Society 27 (1984): 425-38. "Tradition and Redaction in the Parables of the Gospel of Thomas," in Gospel Perspectives, vol. 5, ed. David Wenham (Sheffield: JSOT Press, 1985), 177-205. "The Law in Luke-Acts," Journal for the Study of the New Testament 22 (1984): 53-80. "Preaching the Parables: Preserving Three Main Points," Perspectives in Religious Studies 11 (1984): 31-41. "When Is A Parallel Really A Parallel? A Test Case: The Lucan Parables," Westminster Theological Journal 46 (1984): 78-103. "Midrash, Chiasmus, and the Outline of Luke's Central Section," in Gospel Perspectives, vol. 3, ed. R. T. France & David Wenham (Sheffield: JSOT Press, 1983), 217-61. "New Horizons in Parable Research," Trinity Journal, n. s. 3 (1982): 3-17. "The Burden of Proof," with Stewart C. Goetz, Journal for the Study of the New Testament 11 (1981): 39-63. "A Theology of Money," Youth Worker Journal 24.2 (2008): 50-53. "Canonical and Apocryphal Gospels: How Historically Reliable Are They?" From Athens to Jerusalem 6.3 (2006): 1-7. "This Faith is Mine," in College Faith 2, ed. Ronald A. Knott (Berrien Springs, MI: Andrews University Press, 2004), 36-37. "Mastering Mammon," Christian Reflection 9 (2003): 19-26. "Is Affluence Good?" Faith and Economics 40 (Fall 2002): 11-14. "Dream Job," Journal for Case Teaching 5 (1993): 67-70. "How the Church Can Turn the Other Cheek and Still Be Political," Southern Baptist Public Affairs 2.1 (1990): 10-12. "Response to Catherine Kroeger: 1 Timothy 2," Journal of Biblical Equality 1 (1989): 44-49. "The Four Evangelists," and "Jesus the Miracle Worker," in Jesus 2000, ed. Robin Keely (Oxford: Lion, 1989), 42-48, 82-87. "Mission in the Bible: Non-existent in the Old Testament but Ubiquitous in the New? A Review Article," Themelios 32.2 (2007): 62-74. "An Evangelical Response to Alexander and Kurka," in Evangelicalism and the Stone-Campbell Movement, ed. William R. Baker (Downers Grove: IVP, 2002) 152-58. 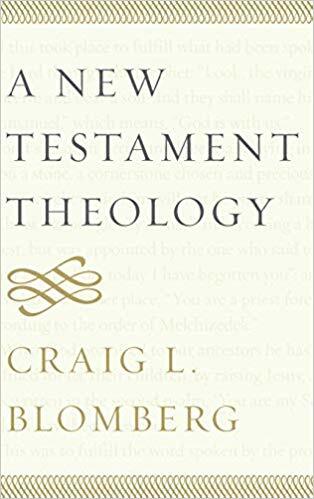 "Introducing the New Testament: Its Literature and Theology-A Review Article," Themelios 27 (2002) 19-22. "The Wright Stuff: A Critical Review of Jesus and the Victory of God," in Jesus and the Restoration of Israel, ed. Carey C. Newman (Downers Grove: IVP, 1999) 19-39. "Sizing Up the Divide: Reviews and Replies," BYU Studies 38 (1999) 163-90 ("Response" section-176-83). "The Jesus of History and the Christ of Faith: Harmony or Conflict?" in Will the Real Jesus Please Stand Up? ed. Paul Copan (Grand Rapids: Baker, 1998) 99-116. "Not Beyond What Is Written: A Review of Aída Spencer's Beyond the Curse," Criswell Theological Review 3 (1988) 403-21. "Materialism," in The New Interpreter's Dictionary of the Bible, vol. 3, ed. Katharine D. Sakenfeld (Nashville: Abingdon, 2008), 835-36. "The Unity and Diversity of Scripture," in New Dictionary of Biblical Theology, ed. T. D. Alexander and Brian S. Rosner (Leicester and Downers Grove: IVP, 2000) 64-72. "Form Criticism," "Gospels (Historical Reliability)," and "Healing," in Dictionary of Jesus and the Gospels, ed. Joel B. Green, Scot McKnight, I. Howard Marshall (Leicester & Downers Grove: IVP, 1992) 243-50, 291-98, 299-307. “Matthew” notes in NIV Zondervan Study Bible, ed. D. A. Carson (Grand Rapids: Zondervan, 2015). "John," in the Apologetics Study Bible, ed. J. P. Moreland (Nashville: Broadman and Holman, 2007), 1567-1618.